Home electricity consumption per capita fell from 115.7kWh in 2006 to 108.7kWh in 2015. This could be due to more people using more energy efficient household appliances such as air-conditioners and refrigerators. The Paris climate pact seeks to limit global warming to under 2°C above pre-industrial levels, and countries, including Singapore, have committed to implementing measures to reduce greenhouse gas emissions. Singapore's climate policy is based on three pillars - fuel switching (Green Plan), increasing energy efficiency (E.g. energy efficient buildings under the Green Mark Scheme), and developing renewable energy. Most of Singapore's electricity is already generated by natural gas, the cleanest form of fossil fuel. But there are limitations, such as the lack of suitable sites, to tapping renewable energy sources. Why is there a need to conserve energy and water resources? Who can help in the conserve the use of energy? 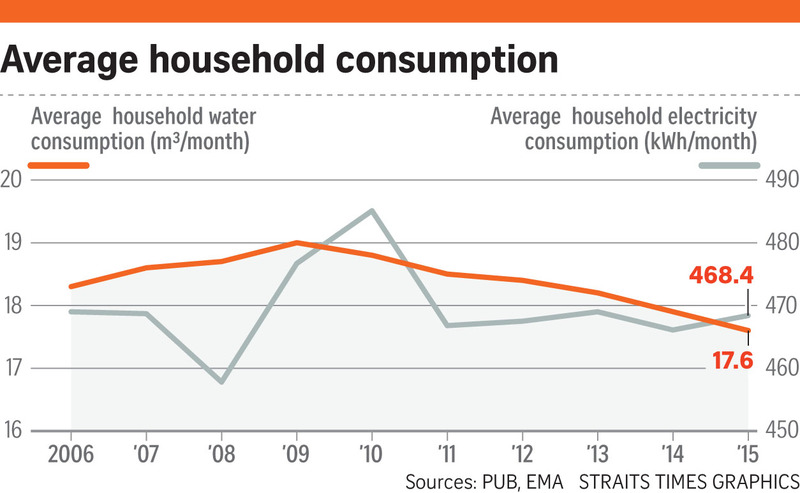 When did the average household consumption of water and electricity decline? Where was the Paris climate pact made? What are the efforts made to reduce electricity consumption? How successful are the efforts? 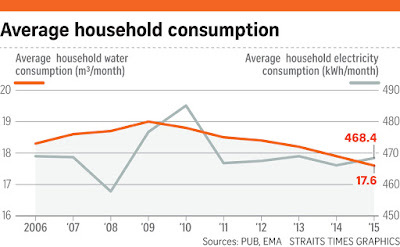 0 Response to "Singapore using less electricity and water"